Digby Moran, Bundjalung artist and Michael Legge-Wilkinson are raising money for the Fight for the Bight campaign. Photo supplied. Taking action locally are some of Australia’s best surf artists, including Michael Legge-Wilkinson, Bundjalung artist Digby Moran, Otis Cary, Ozzie Wright, and Annabelle Thomas, are are coming together to exhibit in support of Fight for the Bight. ‘Being surfers as well as artists, we have an intimate relationship with the ocean and will do everything in our power to stop Equinor or anyone else drilling for oil in the Great Australian Bight and putting our great southern ocean, beaches and waves at risk,’ said Michael Legge-Wilkinson. The exhibition opens this Friday April 5 at the Kokomo Gallery, 121 Jonson Street, Byron Bay. Doors open at 5pm with Welcome to Country at 8pm. The exhibition will run for two weeks. Warrnambool City council has voted to support the 'Fight the Bight' campaign and condemn oil and gas drilling. Cr Owen said the council was the 16th Australian and the fourth Victorian council, joining Moyne and Corangamite shires, to lodge its opposition. Norwegian company Equinor has an exploratory drilling permit for the Great Australian Bight, but has not commenced work. Cr Owen said the council could not allow the bight to be put at risk by an accident such as the Deepwater Horizon oil spill that discharged five million barrels of oil into the Gulf of Mexico in 2010. "The impacts would devastate marine life, fisheries and coastal communities and would seriously tarnish the pristine image of the Australian Southern Ocean and beaches," he said. 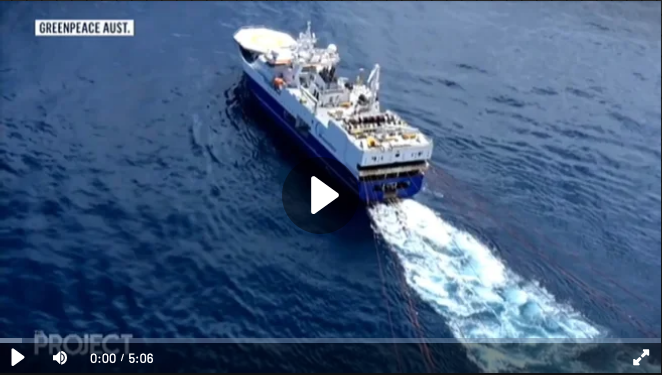 Equinor is in the process of updating its Environmental Plan for its proposed exploration drilling program in the Great Australian Bight after receiving thousands of public responses. The company put the draft plan for its Stromlo-1 exploration well out for public comment for 30 days, which allowed people to provide input and highlight areas of improvement. The public comment period closed on March 20 with Equinor receiving more than 30,000 entries. WA mining magnate and Kangaroo Island land owner Andrew "Twiggy" Forrest is opposing plans by Norwegian oil company Equinor to drill an exploration well in the Great Australian Bight. Mr Forrest's Minderoo Foundation released a statement last week listing its concerns about oil exploration in the Bight. Drilling for oil in the Great Australian Bight presents an unacceptable risk to an irreplaceable ecosystem, according to Minderoo Foundation's Flourishing Oceans initiative. Flourishing Oceans chief executive Brigitte Smith said the Great Australian Bight was a globally significant marine reserve set aside to protect important marine species, many of which are only found in these waters. Due to the significance of this environment, proposed exploration drilling in the Bight should not go ahead, she said. "The Great Australian Bight is a pristine marine park home to unique and sensitive marine ecosystems," Ms Smith said. "For example, the Bight contains the majority of the endemic and threatened Australian sea lion population and is the primary calving ground for Southern Right whales." When professionals like Mick Fanning speak up, people take notice. But in this case he didn’t really have to — thousands of people have filled beaches and oceans across the country in recent weeks of their own accord, fighting a plan that affects not only an Australian icon but our whole coastline. They’re protesting Norwegian energy company Equinor’s plans to drill for oil in a protected marine park within the Great Australian Bight. Paddle-out protests have been happening at beaches across the country, from Torquay in Victoria to Burleigh Heads on the Gold Coast and Newcastle in New South Wales. Another is planned for St Kilda this Sunday, and more are planned for Adelaide, Perth, Hobart, and Sydney in coming weeks. The regulation of Australia’s offshore oil and gas industry will become more transparent after the resources minister, Matthew Canavan, announced that environmental plans for exploration and extraction would no longer be kept secret. 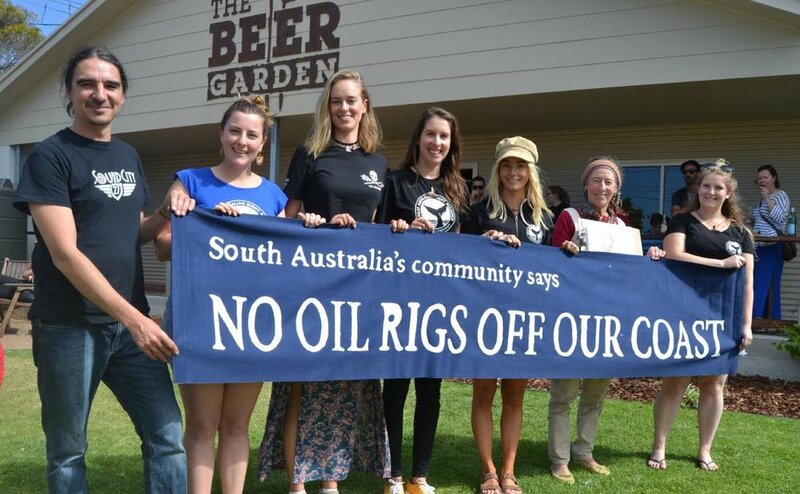 South Coast environmentalists have taken great strides in protecting the Great Australian Bight (GAB) from oil drilling in the past year, forcing the exits of oil giants BP and Chevron – but the fight is not over yet. The Great Australian Bight Alliance has received plenty of support from the Port Lincoln community as it plans to get its message across on the steps of Parliament House later this month. More than 300 people attended a free music festival at Beer Garden Brewing on Sunday, one of a series of Unite the Bight events held at coastal communities across the state. FORMBY Bay Environ­mental Action Group and Daly Head Surfing Reserve volunteers are joining other coastal communities across the state to again voice their opposition to deep-sea drilling in the Great Australian Bight.